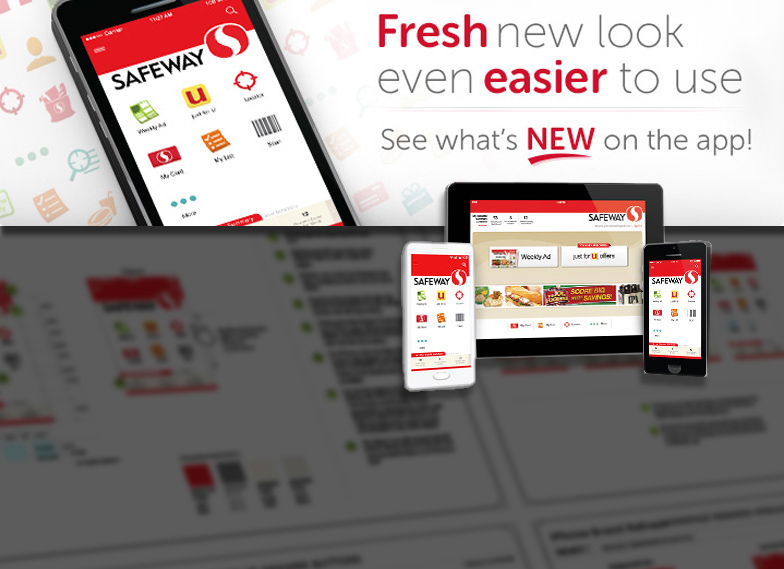 Safeway Mobile Apps | Imagine Ave.
Role: User interface design, user experience flows, wireframes, usability testing, and graphic asset creation. Sr. User Experience Designer for Safeway’s “just for U” mobile app (as well as all other Safeway banners including Randalls, Tom Thumb, Vons, and Pavillions). iPhone, iPad, and Android. Also leads the UX efforts for creating in-store iPhone/Android mobile apps used by store managers and employees.